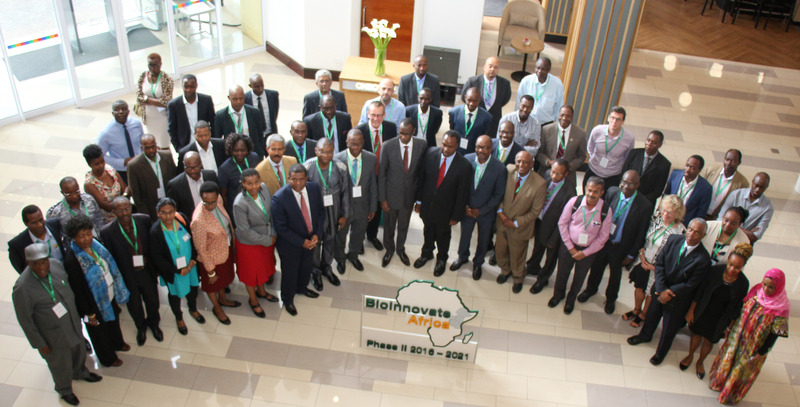 The Bio-resources Innovations Network for Eastern Africa Development (BioInnovate) Programme is a regional initiative established in 2010 with support from Sida to support bioscience research and innovation activities in eastern Africa. It addresses regional priorities in science, technology and innovation aligned with the AU-NEPAD’s Science Technology and Innovation Strategy for Africa (STISA), the science agenda for Africa (S3A) and the Comprehensive Africa Agriculture Development Programme (CAADP). The Programme envisions a region with an ecosystem that supports bio-innovation as a driver for sustainable growth. The absence of proper technology and business incubation mechanisms, as well as enabling policy that would move bioscience innovations along the innovation chain and to the marketplace, has been a big hindrance in integrating bioresources into key sectors like agriculture, environment, and industry in eastern Africa. Conscious of the limited capability of the research organisations and academia in the region to move research output from the experimental set up to the marketplace, BioInnovate has applied an innovation systems approach to catalyse the translation of research outputs to innovations in a sustainable manner for impact. poverty alleviation and inclusive growth. malt drink, instant flour, complementary composite flour, and snack products from sorghum were developed and pilot tested for market and economic feasibility. A model seed system involving research institutions, micro-propagating private sector players and NGOs that rapidly multiplies quality sweet potato plantlets was also tested in Uganda and Kenya. In addition, seven (7) industrially preferred canning-bean varieties were released and are being taken up by the private sector in the region. These bean varieties show strong promise of impacting farmer livelihoods, creating business opportunities for traders and removing bottlenecks that the processing industry faces in accessing good quality canning beans. Furthermore, innovative solutions for biopesticides and bioenhancers for maize, tomato and eggplant were developed. The Programme also developed innovative approaches adaptable to the local environment for wastewater treatment that not only focus on meeting environmental standards but also resource recovery. The innovations entail treating the wastewater through a two-step process involving biodigestion followed by a polishing step using a constructed wetland that purifies the water further to meet national discharge standards. The innovative systems installed at the three industrial sites in Tanzania, Uganda, and Ethiopia resulted in 99% removal of pollutants, thus meeting effluent discharge standards and at the same time capturing methane as biogas, which is combusted to recover energy. The process also generates nutrient-rich sludge that can be used for crop cultivation and nutrients for hydroponic systems. Furthermore, new ways of using sisal and coffee wastes as substrates for mushroom growing and recovering biogas from the used substrate were piloted in Kenya, Tanzania, and Ethiopia. In Phase I vital policy support information and tools were generated to facilitate uptake and adoption of the technologies that the BioInnovate consortia in the region developed. Capacity building activities resulted in the training of 7 PhDs and 38 MScs through the Programme’s consortium based projects. BioInnovate Phase I demonstrated and shared experiences on the deployment of a regional competitive multicountry, multidisciplinary and multistakeholder biosciences innovation funding mechanism aimed at catalysing the translation of research outputs into scalable and impactful innovations, through the creation and strengthening of innovation platforms. It reveals lessons on what has worked and can be considered good practice and what did not work, to guide future Programme design and implementation. BioInnovate Phase II builds on the achievements of Phase I, and addresses recommendations of the BioInnovate Mid-Term and Final Reviews. The main difference between BioInnovate Phase I and BioInnovate Phase II is that the programme will develop more capacity and devote more resources towards assisting innovation projects move further along the innovation chain into the market. 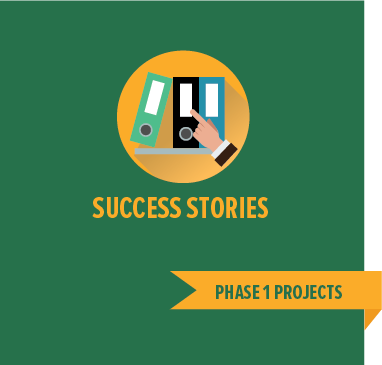 In Phase II, the BioInnovate Programme will develop robust mechanisms for supporting innovation for inclusive growth. In so doing, it will cultivate relationships with key partners who can deliver innovations to end-users and generate investment from the private sector and social investors. BioInnovate Phase II will also develop selective partnerships with key actors playing a critical role in bridging the gap between innovative research and sustainable end-user impact. BioInnovate Phase II intends to take advantage of the experiences from Phase I to develop the best bioscience innovation platform in Africa. Phase II will build on the earlier Sida investment in this area, to create a stronger innovation-driven, user-oriented platform that promotes inclusive and sustainable growth in the region. The thematic focus areas for BioInnovate Phase II build on and strengthen some of the focus areas in Phase I, but with a more targeted approach towards opportunities that have the capability of delivering value to smallholder farmers and agribusinesses within the next five years. The focus areas for BioInnovate II are: (1) value addition to agro-produce and creation of agribusiness opportunities for smallholder farmers; (2) value addition to agrowaste/biowaste, in support of climate change mitigation and environmental sustainability; and (3) development of policies, capacity and tools to deliver developed bioscience innovations to resource-poor farming and agroprocessing systems. The primary goal of Bio-Innovate Phase II is to improve livelihoods of smallholder farmers and profitability of agroprocessing enterprises in eastern Africa, while ensuring environmental sustainability. The intended outcome of BioInnovate Phase II is enhanced capacity of Eastern African universities, research organisations and firms, to translate modern biosciences into innovations targeting smallholder farmers and agroprocessing enterprises in the region. a. Generate biosciences innovations that address the needs of smallholder farmers and agro-processors in the region. affiliated organisations. Students at MSc, PhD, and postdoctoral levels will participate in the research teams, not only to provide research support but also to be trained in relevant skills to promote bioscience innovation that benefits smallholder farmers and agroprocessing actors. Furthermore, scientists will be trained, through targeted short-term courses, in new techniques and processes of value addition, entrepreneurship, business development and related topics. BioInnovate Phase II will support the identification, analysis and evaluation of policies, regulations and incentives relevant to the needs of project teams within the BioInnovate Programme. The Programme will also support a range of targeted activities geared towards implementation of policies within participating partner organisations or relevant government agencies that address the needs of BioInnovate scientists along with smallholder farmers and agroprocessors. Part of the policy analysis and evaluation will include techno-economic assessment and market feasibility studies for the technologies or products developed by the Programme. BioInnovate Phase II will specifically support the transition of the Programme into an independent legal entity for bioscience innovations promotion in eastern Africa. This regional entity will ensure continuity of the network of bioscientists and innovators created during Bio-EARN and BioInnovate Phases I & II. The entity will also create new networks that will ensure continued translation of modern biosciences into useful products and services for the benefit of smallholder farmers and agroprocessing actors in eastern Africa. The process of establishing the entity will include consultations with, and buy-in from, key regional stakeholders (such as the national councils and commissions for science and technology, universities, the private sector, public research organisations and other regional scientific organisations). It will also involve preparing the entity’s charter and documents necessary to get it registered within the region. building activities related to value addition, policy analysis, and product incubation. Capacity building activities may include short-term training as well as graduate training.To assist projects to effectively move forward along the innovation chain, a Stage-Gate process will be applied as a crucial and effective instrument to manage all projects, thus enabling progression of successful projects and adjustment or termination of non-performing ones. Stop-Go decisions will be made in a timely manner and will be based on clear criteria. The Stage-Gate process breaks each project into discrete and identifiable stages, where each Stage is designed to gather information needed to move the project forward to the next gate or decision point. The Stage-Gate process is also a suitable mechanism to handle and effectively phase out inefficient or less successful projects. Programme management will be strengthened with increased competence in entrepreneurship, business, and marketing skills. Phase II Programme management will consist of a Programme Advisory Committee, a Programme Management Office and Consortium Project Leaders in the implementing organisations in the region. The Programme is based at the world headquarters of the International Centre of Insect Physiology and Ecology (icipe) in Nairobi, Kenya, to strengthen regional ownership. BioInnovate Phase II is funded by Sida to the tune of SEK 100.7 million for five years. BioInnovate welcomes complementary funding from partners, recognising the increased costs that are likely to be incurred, as projects move further along the innovation chain. Already, there is a positive indication that some of the national councils and commissions for science and technology in the region will show commitment to provide both in-kind and direct financial support as matching funds in the process of implementing country-specific BioInnovate-supported innovative projects. Additionally, private sector actors involved in implementing the Phase II innovative projects are also expected to contribute 25% of the total project budget as complementary matching funds. Moreover, concerted efforts will be made to mobilise resources from other potential donors and impact investors, as well as social and private sector investors.